The push to reject standardized high stakes testing and all facets of corporate reform is on the rise. Let me begin with that hopeful note. The movement is growing and the scales are tipping! Yet, I can’t help but ask myself: Why is this so hard? Why is it so hard to grow this movement? This should have been a done deal by now. The fight to protect children against harmful policies should be a no brainer. It’s like a campaign to “not kick puppies”—I mean, who would want to promote policies on kicking puppies? No one. Why is this so hard? It’s hard because our political, schooling and media institutions continue to attack parents and educators who have the courage to defend children from harm. Parents refusing these harmful policies are painted as “disgrnuntled White soccer mommies” while resistance from and within communities of color go ignored. Teachers refusing to comply with harmful policies are “agitators” and “out of compliance.” Our collective obsession that standardized tests are anything but junk science goes unchallenged by the media despite real research that has resoundly disproved it’s so called merits. Ending corporate reform should be a “gimme” like in golf. So why is it, when we get to fighting to protect children (and their teachers and their communities), we often hear the response, “It’s complicated.” No. it’s really not. Strife in the Middle East is complicated. Quantum physics is complicated. Defending children is not complicated. We know the problem. And we know the solutions. 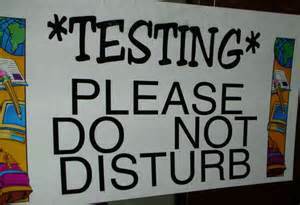 Problem: We have decades and volumes of research (both qualitative and quantitative) showing the detriment that high stakes standardized testing has on children, schools, teacher efficacy, and community building. Solution: We have the answers. We have decades and volumes of research (both qualitative and quantitative) showing us what enables children to become successful learners (hint: Common Core and more tests are not on the list). Remediating the effects of poverty, creating quality rich curricula, small class sizes, learning with purpose and value, caring for children, and providing schools the resources to provide all of the above are on the list. We have the ability and the resources as the wealthiest nation on the planet to provide what all children deserve ….if we actually wanted to make that happen. Why is this so hard? Because as adults other things at stake somehow become more important. They say “it’s complicated.” Here are a few examples. Security: Why is it so hard to get administrators to support teachers defending children from the harm of HST by teaching parents how to opt out or refusing to give the tests? See story about Phillie teachers here. Instead of punishing teachers and firing them, administrators should be protecting their teachers. It’s no longer sufficient to say, “I’m just doing my job.” So are the folks at Pearson, the U.S. Dept. of Education and Achieve. They’re just doing their jobs too. If this applies to you Mr. or Mrs. Administrator, please stop saying you care about children and then throw those same people who are actually doing something about it under the bus for having the courage you lack. Power: Why is it so hard to get union leadership to reflect the real concerns and needs of their union members who are standing up and speaking out against the destruction of their profession and the genuine desire to perform their job which is helping (not harming) children? Yes, there are clear deviations from this such as MTA and CTU. But why isn’t every local, state or national union leader rallying around the facts and the data that show this system does not work, instead of vying for power or a “seat at the big people table.” Like the proverbial Thanksgiving dinner, you should be asking to remain seated at the KIDS table. Or, maybe you’re making back room negotiations with powerful players trying to “get a little of this … willing to give up a little of that.” I have friends in unions afraid to speak out because their jobs are on the line for speaking truth. I have other friends who get icy stares from their union peers who wish they would just “shut up.” If you’re a union leader (or peer) silencing the voices of your members, listening to big money rather than to your members, at least have the courage to be honest about it. Stop saying you care about children (or even your colleagues) first. You don’t. Media: Why is it so hard to find a mainstream media outlet with a moral compass? As “Deflategate” makes CNN headline news for days in a row, major events like 60,000 testing refusals in NY last fall went ignored. No offense to foot ball fans out there but while about half of America’s children are living in poverty the media is reporting about a deflated football in a game played (and managed) by men who make millions of dollars. Whether it’s NPR’s corporate ties to Bill Gates or FOX News ties with the Koch Brothers, the media perpetuates false narratives about “failing schools”, “bad teachers,” or the “wonders of charters”. They’re not reporting. They’re advertising. We have to pose the question, as Anthony Cody does, “Is mainstream media fair and balanced”? Why do we convince ourselves of foolish nonsense like, “Well, children need to learn to take tests! Tests are part of life when they become adults.” So is cooking. Why are aren’t there more cooking classes in the elementary schools then? (Actually I wish there were!) Likewise, most children will grow up and learn how to drive a car. Why don’t we invest millions in vehicle simulators and give them to kindergarten classrooms? Many people argue, “We need to test because all the industrialized countries of Europe and Asia are testing their kids, and we need to stay in tandem with them.” Industrialized nations of Europe and Asia also use the metric system and have universal single payer healthcare systems. I don’t see any U.S. legislation heating up to push either of those. There are some civil rights organizations and leaders who advocate that standardized testing is necessary to ensure that equitable services are provided to historically underserved children and/or to demonstrate they are as good as their Caucasian suburban peers. I stand with those leaders and organizations in support of their fight for these things. But I cannot wrap my head around how any system of standardized testing, which was designed during the Eugenics movement to sort and track people according to race, class, and gender can possibly offer the solution to the persons and groups it was intended to harm the most. Why play a game when you know the rules are rigged against you? Do we really need tests to show us which schools and communities are being underserved? Have you ever seen a failing school in a wealthy community … ever???? Zip codes are more accurate than test scores. The tests have become a distraction from putting the money and effort into the providing the resources and programs in place that we know damn well would (could) make a difference. We don’t need any more tests to show us what works. And what doesn’t. And, as Ira Shor pointed out in a brilliant keynote (see min 37) at the United Opt Out January event, it was during the 1970’s that schools showed the greatest increase in test scores for Black children; we were markedly closing the achievement gap (with the help of supportive family, community, and curricular programs). So what did the Reagan administration do? They ignored that data and put forward the Nation at Risk report ushering in a new generation of “back to basics” and “accountability” tactics that widened the achievement gap all over again. In other words, you’ve gotta have a lot more faith in policy makers than I do to even trust they’ll use a moral compass to do anything beneficial with the test scores to begin with. To truly tip the scaled our society must arrive at a point where we can wholly and fully let go of the notion that standardized testing provides any meaningful or valuable benefit for any child, any group, any school or community. And so long as we trudge along in denial, fear, or self-interest, looking at everything but children, fighting for anything other than the obvious solutions, convincing ourselves that the problem is anything other than our love affair with the money, power and political influence folded neatly into this test-faith paradigm, this struggle to defend children will continue to be hard. But let’s stop pretending it’s complicated. Thanks for this thoughtful and on-the-point commentary. I wish every teacher had an opportunity to read this. You have to be wary of the “disgrnuntled (sic) White soccer mommies”.